Good Morning TMS friends! Thank you all so much for joining us. Wow!! What fabulous cards you all created to share with us. You made it really hard to pick a favorite. 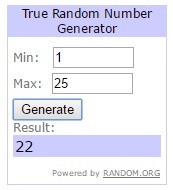 Congratulations Lisa Lynn, please email me at tuesdaymorningsketches at gmail dot com and enter "Winner TMS #357 Oddball Art" in the subject box. Have a great Monday and we'll see you tomorrow with another great sketch and returning sponsor DRS Stamps. Thank you for choosing my card as the winner; I greatly appreciate it. I was so thrilled to selected a Favorite! Congrats to the winner and all the favorites.